According to 2001 census,total population of the Mising stands at 13,591.This is a quite an important figure in a least populated state like Arunachal Pradesh where the total population is just around 12 lakhs. The Misings inhabits the districts of East Siang ,Lohit,Lower Dibang Valley and Tirap. The Misings of Arunachal Pradesh too are maintaining their language,culture and all essential elements.It is significant to mentioned that they have keep intact their identity though Misings in Arunachal Pradesh are scattered in different places. 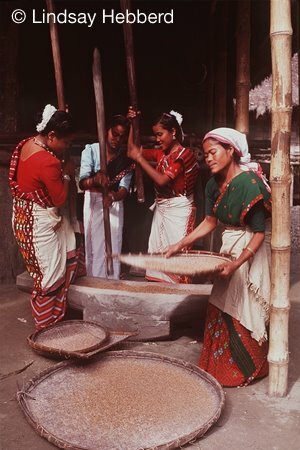 It may be recalled that the Misings of Arunachal had to struggle for a long period to get the recognition of Schedule Tribe in the state despite the fact that Misings were aboriginal inhabitants.Amidst opposition from various quarters,however,the years democratic struggle bored fruit through the efforts of few dedicated leaders in 2006. This doesn’t mean that Misings has fulfilled every demand in Arunachal Pradesh. 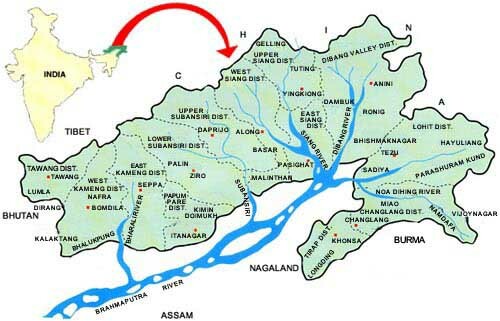 Many Mising areas are far from parallel development like other counterparts of Arunachal Pradesh.We can conscientiously point that where ever the Misings are,they believe democratic struggle,thus abiding by the great ideal of the Constitution of the country. The Misings of Arunachal Pradesh celebrate Ali-a:ye-lígang festival.The Ligang festival has got official recognition in the Gazette of Arunachal Pradesh.The government of Arunachal Pradesh has declared the date of 2nd February as official holiday . In his article Mg.Oiboram Payeng,a noted leader of Misings in Arunachal,in the Takam Mising Porin Kebang(TMPK) central committee’s mouthpiece ‘Lí:sang’(2009) has aggrievedly mentioned that Misings of Arunachal Pradesh has been living like second class citizens in their own land origin.He has reiterated that due to lack of cohesion among the Misings of Assam counterpart,where majority of the nationality inhabits,the Misings of Arunachal Pradesh hasn’t able to exercised effectively their demands before the respective state government.Leaders like Oiboram Payeng and Majid Pao are restlessly working for all round development of Misings of Arunachal Pradesh. Therefore, it is high time to ponder among the Mising social leaders of Assam to find a workable solution to such ailments.As far as Mising nationality is concerned,it is imperative to work in terms of ‘inclusive nationality ‘ to bring a more relevant and rational concept of the Mising irrespective of any political boundary.It will be great blunder for us if we forget our root which will dearly cost the future generation of the Mising nationality.